 The Institute for the Protection of Minority Rights (IPMR) is a non-governmental, non-partisan, non-profit organisation, founded in 2012 with the aim of promoting and protecting the rights of Hungarian minority communities living in countries neighbouring Hungary. Our main goal is to support individuals and organizations providing legal aid to members of the Hungarian minority communities when their human- and minority rights have been violated, in order to redress and remedy such violations, as well as to effectively prevent future ones from happening. In this respect, our activities rest on three main pillars: 1.) 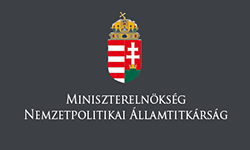 Support of lawsuits on national and international level pertaining to the rights of persons belonging to, and organizations advocating for the Hungarian minority. 2.) Support of permanent legal assistance services in countries neighbouring Hungary. 3.) Organization of specialized trainings, conferences, and summer universities to promote the importance of minority rights advocacy, and contribute to a more effective legal protection of minority Hungarians. Within the above framework, the Institute strives to establish close cooperation with institutions, advocacy groups, NGOs, INGOs, national- and international office holders, scientific and academic organizations, as well as universities and other stakeholders engaged in the area of human- and minority rights. We are dedicated to the development of human rights standards, minority protection, rule of law, and committed to foster the implementation of relevant international treaties, and best practices in this field.